Supply Construction Valves, PVC Ball Valve, UPVC Valves etc. Find UPVC Valves, PVC Ball Valve, Construction Valves on Industry Directory, Reliable Manufacturer/Supplier/Factory from China. Product categories of Construction Valves, we are specialized manufacturers from China, UPVC Valves, PVC Ball Valve suppliers/factory, wholesale high-quality products of Construction Valves R & D and manufacturing, we have the perfect after-sales service and technical support. Look forward to your cooperation! JESSRO PVC ball valves, PVC check valves, PVC single union ball valves, PVC true union ball valves, PVC butterfly valves and PVC foot valves, are using fresh original PVC and PP materials. All the valves have advanced design and scientific modeling design that can make sure the perfect performance in all sorts of using environment. All the valves have two connection mode ,socket and screw ,which one are greatly increase the use convenience . 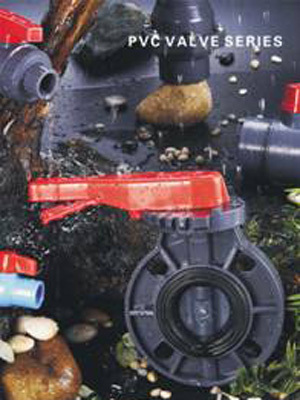 We use the original PVC materials with high quality in order to guarantee the 20 years life of the valves. We also use acid and alkali resistant ,wear resistance of high aulity EPDM to increase the service life of the valve. So our PVC Valves are widely used in construction, water treatment ,swimming poor and water project in pisciculture . We have all the size from 1/2" to 8" in a full range items and we can supply you ASTM standard, JIS standard , DIN standard, BSPT standard, CNS standard and so on. All of our PVC valves can following your specific requirement .And we can supply you the professional service. Looking forward to the pleasure of receiving your detail inquiry!